Why The Arrival Of Mobile Apps Changed Everything? Even More So After “Artificial Intelligence”! Convenient. Fast. Smart. Reliable, time-saving…and many more to add to list which might justify the way the occurrence of Mobile Apps & Development has paved the way for our today’s technologically advanced life. We have apps for everything. Capping ‘Artificial Intelligence’ and ‘Virtual Reality’ on top of these mobile apps and its relative technology by mobile app development companies have given rise to amazing apps and a whole new way how business is done. With ‘Banks & Financial Institutions’ opting for financial-technology to take the conventional banking methods and process to the next level. Because of these banking mobile apps, most of the banking operation tasks and transactions now can be achieved through a smartphone. Without actually going to the bank, customers can easily check account balance & statement, confirm deposits, transfer funds & even pay your bills right from your banking app. Simultaneously, even banks and institutions have also benefited from this transition in terms of reduced customer personal visit to the bank and hence able to use the staff & resources productively. Few of the banking services that can be operated via banking app do levy certain fee on specific transactions. Although the amount is very small, in turn, adds up to the bank’s revenue considered over millions of transactions by the number of people. By offering these services efficiently & productively, banks are able to retain their customers. Banks have already started to do the promotions of their new product, service or offer via push notifications hence, an enhanced mean of communication between banks and customers. Todays ‘Security & Alarm Systems’ have their own mobile apps that a user can operate and control from their smartphone after installing the app. The user can communicate with the system via the installed app. In case of a break-in or any intrusion, these enhanced smart system will not only set the alarm but also would send the alert on your phone with the image or video of the incident. With these things in place, one can be assured that their home is safe even though they are away and still are able to alert authorities about the same in case of any incident happens. You’ll get the alert notification as long as you an internet connection on your phone. Houses have become ‘Smarthomes’ with the launching of home appliances apps. Maybe it is your thermostat, Television set, microwave, washing machine, air conditioning or dishwasher…all of them can be controlled and operated via their own mobile apps. You can turn on air condition before even reaching home on a hot sunny day, or monitor your kids’ TV content and set parental control accordingly or on a tiresome office day, you could warm food in the microwave while still chasing for a bus. These apps are built-on artificial intelligence technology. Based on the certain data and information put into these apps, they are quite capable of taking decisions on their own without any human intervention. Artificial Intelligence has given an amazing boost to the forex mobile trading via ‘Forex Trading apps’. With these mobile apps, forex brokers can free themselves from their long trading hours on PCs. Now they can trade anywhere, anytime. Now brokers and traders can easily communicate, reach out and announce to his traders via push notifications. 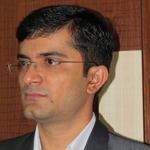 Most of the smart product comes with their own mobile apps for smart operation. For instance, did you check the ‘new smart wallet’? Well, in case if you forgot your wallet somewhere and go beyond 50 meters, the ‘new smart wallet’ will send you a message reminding about your wallet. Another feature of the wallet is that it ignores if your phone is on silent or switched off and rings out if you are not able to locate it. It helps if you are at a gathering or a party. 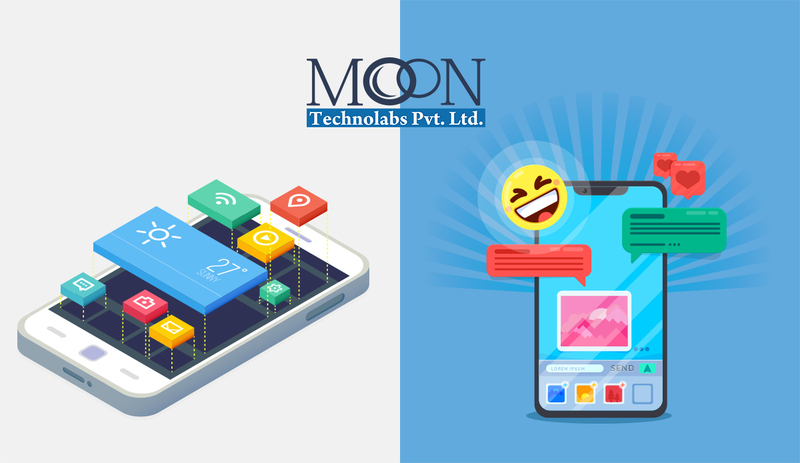 We at Moon Technolabs, take the utmost pride in helping our clients get their desired AI featured apps for their products and services. Life-changing are being developed every single day and as a matter of fact, in the virtual world, there isn’t sector left who would not be utilizing the power of mobile apps.